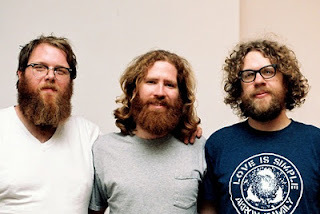 Megafaun: Until a couple weeks ago, I was unaware of these guys, their powerful music, and their equally powerful beards. The contenders for album of the year are beginning to make themselves known. On a possibly related note, this is the strongest week of the year. 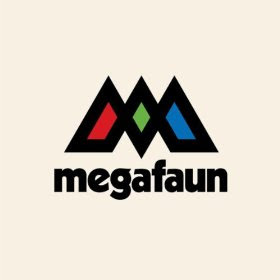 Megafaun by Megafaun: In a year of musical anticipation and expectation surrounding bands I'm familiar with and fond of, Megafaun qualifies as the most unexpected of my discoveries. Hard to pin down genre-wise, the former bandmates of Bon Iver frontman Justin Vernon alternately remind you of The Grateful Dead, Spiritualized, or Eels with soundscapes that are at times Odelay-era Beck/Kid A Radiohead before shifting to the chamber power of Fleet Foxes or the horn-centric beauty of Beirut or The Walkmen. It's such an insane concoction of genre influences that it has no business working--but it does. Highly spiritual lyrics combined with an adventurous spirit, Megafaun is a true one of a kind. Days by Real Estate: There's nothing worse than the disappointment of unvalidated anticipation--and nothing quite as reassuring in that "sometimes things CAN go right in this world" sorta way as when your passionately childish hope is fulfilled after a long wait. 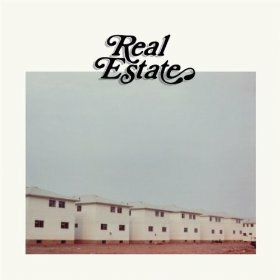 There was no middle ground for me with the new Real Estate album. I had loved their debut and their follow-up EP so much--I was and am incapable of possessing middle ground feelings about this band. Luckily, the band's sophomore release, Days, is a tremendous success on every level. Its beauty is in its ability to be both simple and skillfully crafted. They return with just enough new wrinkles to show the path they're charting forward while still retaining that lush beach-guitar trademark touch and create a gem of an album--one of 2011's best. Sure, I'm probably biased towards this band. But it doesn't make it any less true. It's out. TODAY. Get it. You're welcome. 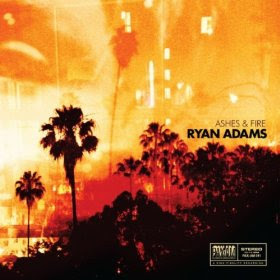 Ashes & Fire by Ryan Adams: People need to get over Ryan Adams' debut album Heartbreaker much in the same way that many bitter former Radiohead fans need to get over OK Computer. Adams is not (just as Radiohead is certainly not) going to make that album ever, ever, ever again. While no one doubts that album's greatness, it has all too often served as an albatross hanging around Adams' neck in the form of the critical evaluation of his subsequent works. There are far too many lazy, petulant music critics (Pitchfork) who spend more of their reviews referencing how the new work compares to Heartbreaker (as well as petty commentary on the nature of Adams' formerly turbulent off-stage life) without ever fairly evaluating the work right in front of them. Largely due to this phenomenon, appropriate praise has eluded some tremendously strong (and largely overlooked) albums such as the epic Cold Roses and the pitch-perfect country throwback Jacksonville City Nights. And while I note the irony that I have yet to say a word about Adams' new album, let me remedy that by saying that Ashes & Fire is his most consistent, top-to-bottom work in years. Ryan Adams always had the gift of espousing the most universally understood sentiments in the most brilliant, clever ways that you could never think of and that doesn't stop here. Quieter, but certainly assured, Ashes finds Ryan Adams in a good, strong place with a set of hooks that's been less noticeable on his last couple of albums. He's in love, but even if you're not, you get the sense listening to this album that he knows how easily even beautifully-joined things can fall apart for a guy like him. And somehow, that's reassuring to a guy like me.